How much water should you drink each day? Will drinking more water really help you be healthier? Does it matter when you drink it? I found some well-researched answers! According to Jeff Goins and his blogger personality quiz, I’m the professor. Which means I like to do the research and then put it into a more readable form for you! Let me share what I found. Oh, but first go get a glass of water and drink it while you’re reading this. 1.Why should you drink water? It improves your mood! Mild dehydration can negatively affect your mood and your ability to think. When you’re feeling cranky, have a glass of water! It relieves fatigue! Wow! That’s reason enough for you to drink more water. When your body is dehydrated, feeling tired is one of the first signs. It helps headaches! At the first sign of a headache drink some water. It won’t take away the stress in your life but it may ward off a headache. Headaches are often caused by dehydration. It helps in digestion and boosts your metabolism! Drinking sufficient water boosts your metabolism and helps the body properly break down food. 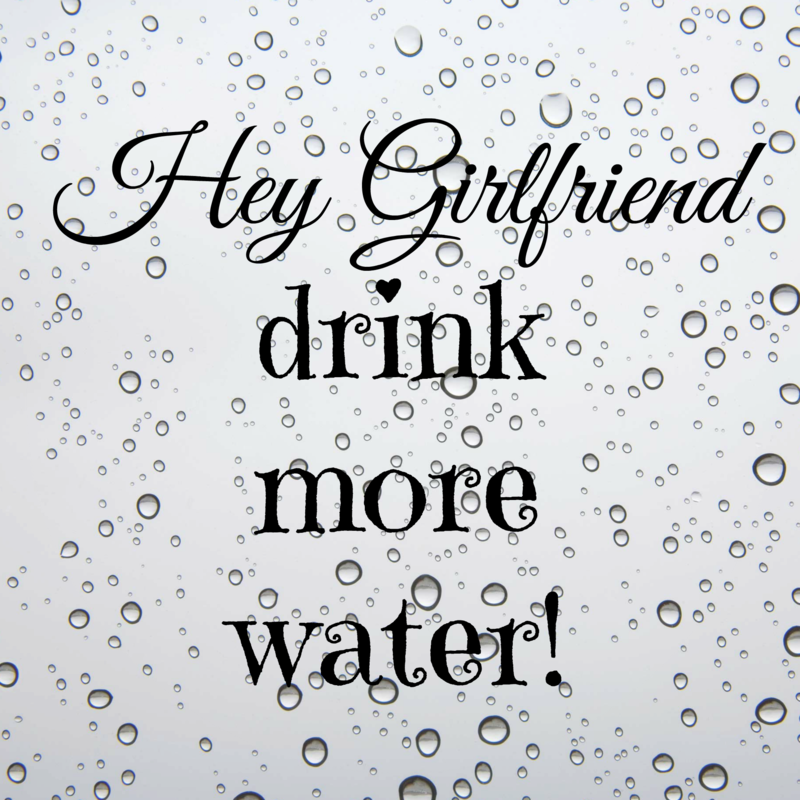 That means water helps your body burn calories! It also aids with digestion so your system works well. I won’t go into details – you can read between the lines. It aids weight loss! When you substitute water for other high calorie beverages you are reducing your calories. Even healthy orange juice has 112 calories. Eat an orange for 45 calories instead. When you drink water, it fills your stomach and reduces the tendency to eat more. It flushes out toxins! Drinking water helps your body to get rid of waste primarily through sweat and urine. It also promotes kidney function and reduces kidney stone formation. Prevention of kidney stones and the pain associated with them is another really good reason to drink more water. 2.How much water should you drink? Fluid is lost in sweat, urine, digestive processes, breathing, and through the skin. This fluid needs to be replaced every day. There is no perfect formula for how many cups of water each person should drink. Research suggests the amount of fluid you need is based on your weight, your activity level and the climate you live in. Generally 8 to 10 cups of fluid each day is recommended. That sounds like a huge amount of water to drink. But about 20% of it comes from the food we eat. Many fruits and vegetables contain a lot of water by weight. The other 80% comes from the beverages we drink. Milk and juice, and tea and coffee can contribute to the 80%, as they are composed of mostly water. Let’s take the 10-cup rule and look at my day. 20% comes from my food and we’ll say that’s 2 cups. So that means I need 8 cups from fluids. Coffee is not the best choice but it does contribute, and almost everyone drinks it. You can see how the fluid level quickly adds up. I encourage you to take a look at your day and keep a fluid diary. Look to see if you are getting enough and make a plan to include more. 3.When should you drink it? When you are feeling thirsty your body is sending a message that it needs fluid. Don’t ignore your thirst. Rehydrate with water. The timing of when you drink water can contribute to weight loss. One study found that drinking water half an hour before meals is effective. It can make you feel more full, so that you eat fewer calories (28, 29). In another study, people who drank 2 cups of water before meals lost 44% more weight, than the control group that didn’t drink water before the meal. (30). It appears that drinking water before your meal will help to fill up your stomach. You will eat less food. It takes less food for you to feel full. This will eventually lead to weight loss. Drink water it’s your body’s BFF! TODAY’S little STEP: Gradually increase your water consumption. With the goal of 1 glass before each meal and with each snack. Substitute water for higher calorie beverages whenever you can.